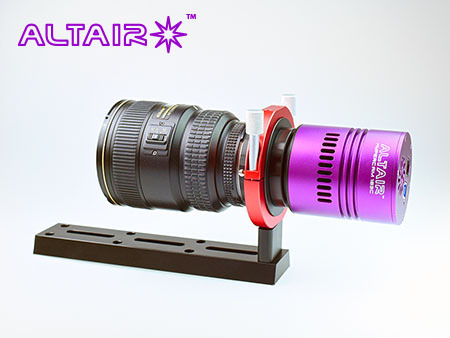 Attach your Altair Hypercam CMOS Camera to a Nikon F-Mount Photographic lens for wide flat field astrophotography. 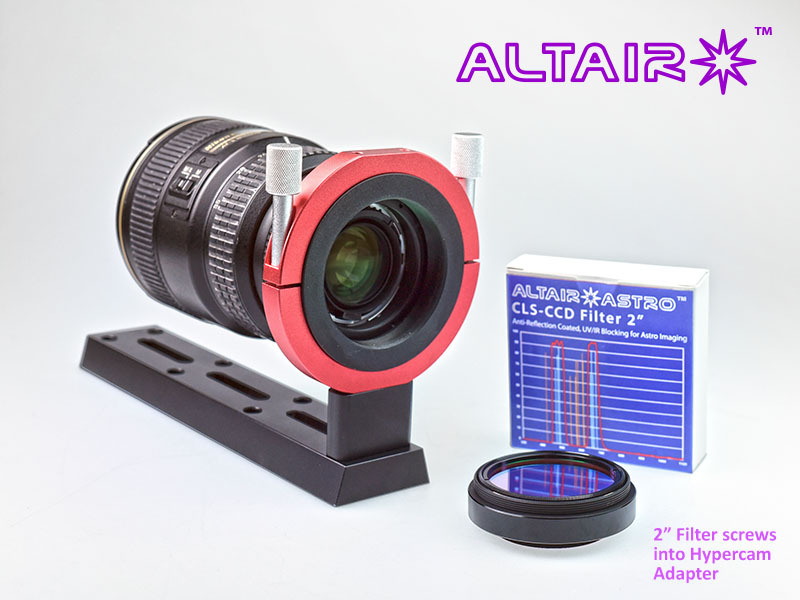 You can insert 2" Astro filters too. Rotates for framing and you can move the adapter back and forth on the dovetail bar for balancing. Mount your guide scope on top using the two holes for UNIFBR universal guide scope bracket. Includes standard Photo 1/4" tripod thread. Mount your Finder/Guider on top with the UNIFBR quick release bracket.